Back again with another 60 Second Beer Reviews, albeit it is a little bit late this week! Sorry! 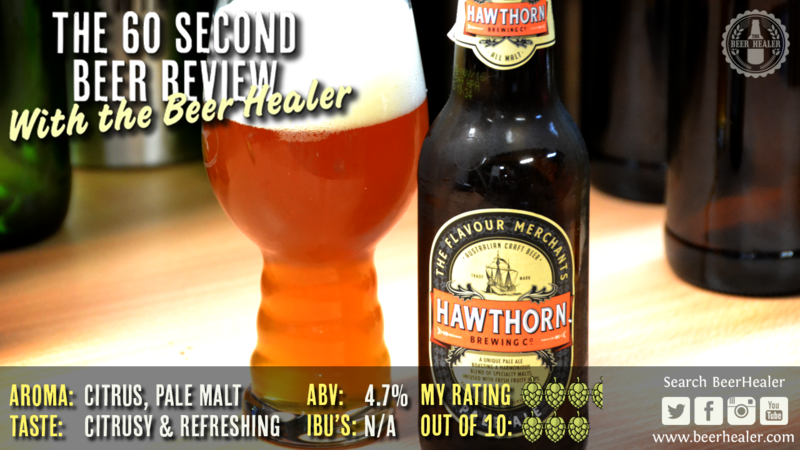 Ex-Home Brewers taking their brew-game to the big leagues, that’s Hawthorn Brewing Company from Melbourne. This is their Pale Ale…yeah, another one in a very crowded market place. It’s their flagship beer, check out my thoughts on it! If you didn’t catch my video from last week, it was the Nail Brewing Red Ale. You can find it in the menu above, or click here.